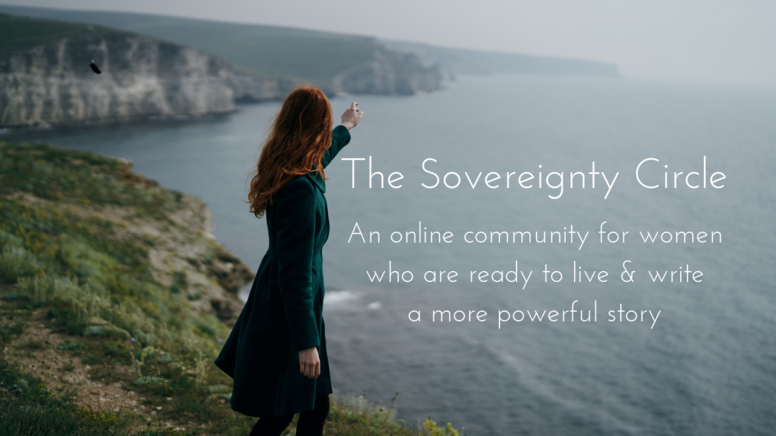 I'm thrilled to welcome you to the Sovereignty Circle! Your membership period begins on the first of the month and will renew automatically unless you choose to cancel your membership. Please note: this group is an ongoing commitment for committed sovereignty seekers and you're not encouraged to drop in and out. Re-entry into the group after cancelling your membership is at my discretion. Time zone* Please select... (GMT-12:00) International Date Line West (GMT-11:00) American Samoa (GMT-11:00) Midway Island (GMT-10:00) Hawaii (GMT-09:00) Alaska (GMT-08:00) Pacific Time (US & Canada) (GMT-08:00) Tijuana (GMT-07:00) Arizona (GMT-07:00) Chihuahua (GMT-07:00) Mazatlan (GMT-07:00) Mountain Time (US & Canada) (GMT-06:00) Central America (GMT-06:00) Central Time (US & Canada) (GMT-06:00) Guadalajara (GMT-06:00) Mexico City (GMT-06:00) Monterrey (GMT-06:00) Saskatchewan (GMT-05:00) Bogota (GMT-05:00) Eastern Time (US & Canada) (GMT-05:00) Indiana (East) (GMT-05:00) Lima (GMT-05:00) Quito (GMT-04:00) Atlantic Time (Canada) (GMT-04:00) Caracas (GMT-04:00) Georgetown (GMT-04:00) La Paz (GMT-04:00) Puerto Rico (GMT-04:00) Santiago (GMT-03:30) Newfoundland (GMT-03:00) Brasilia (GMT-03:00) Buenos Aires (GMT-03:00) Greenland (GMT-03:00) Montevideo (GMT-02:00) Mid-Atlantic (GMT-01:00) Azores (GMT-01:00) Cape Verde Is. (GMT+00:00) Edinburgh (GMT+00:00) Lisbon (GMT+00:00) London (GMT+00:00) Monrovia (GMT+00:00) UTC (GMT+01:00) Amsterdam (GMT+01:00) Belgrade (GMT+01:00) Berlin (GMT+01:00) Bern (GMT+01:00) Bratislava (GMT+01:00) Brussels (GMT+01:00) Budapest (GMT+01:00) Casablanca (GMT+01:00) Copenhagen (GMT+01:00) Dublin (GMT+01:00) Ljubljana (GMT+01:00) Madrid (GMT+01:00) Paris (GMT+01:00) Prague (GMT+01:00) Rome (GMT+01:00) Sarajevo (GMT+01:00) Skopje (GMT+01:00) Stockholm (GMT+01:00) Vienna (GMT+01:00) Warsaw (GMT+01:00) West Central Africa (GMT+01:00) Zagreb (GMT+01:00) Zurich (GMT+02:00) Athens (GMT+02:00) Bucharest (GMT+02:00) Cairo (GMT+02:00) Harare (GMT+02:00) Helsinki (GMT+02:00) Jerusalem (GMT+02:00) Kaliningrad (GMT+02:00) Kyiv (GMT+02:00) Pretoria (GMT+02:00) Riga (GMT+02:00) Sofia (GMT+02:00) Tallinn (GMT+02:00) Vilnius (GMT+03:00) Baghdad (GMT+03:00) Istanbul (GMT+03:00) Kuwait (GMT+03:00) Minsk (GMT+03:00) Moscow (GMT+03:00) Nairobi (GMT+03:00) Riyadh (GMT+03:00) St. Petersburg (GMT+03:30) Tehran (GMT+04:00) Abu Dhabi (GMT+04:00) Baku (GMT+04:00) Muscat (GMT+04:00) Samara (GMT+04:00) Tbilisi (GMT+04:00) Volgograd (GMT+04:00) Yerevan (GMT+04:30) Kabul (GMT+05:00) Ekaterinburg (GMT+05:00) Islamabad (GMT+05:00) Karachi (GMT+05:00) Tashkent (GMT+05:30) Chennai (GMT+05:30) Kolkata (GMT+05:30) Mumbai (GMT+05:30) New Delhi (GMT+05:30) Sri Jayawardenepura (GMT+05:45) Kathmandu (GMT+06:00) Almaty (GMT+06:00) Astana (GMT+06:00) Dhaka (GMT+06:00) Urumqi (GMT+06:30) Rangoon (GMT+07:00) Bangkok (GMT+07:00) Hanoi (GMT+07:00) Jakarta (GMT+07:00) Krasnoyarsk (GMT+07:00) Novosibirsk (GMT+08:00) Beijing (GMT+08:00) Chongqing (GMT+08:00) Hong Kong (GMT+08:00) Irkutsk (GMT+08:00) Kuala Lumpur (GMT+08:00) Perth (GMT+08:00) Singapore (GMT+08:00) Taipei (GMT+08:00) Ulaanbaatar (GMT+09:00) Osaka (GMT+09:00) Sapporo (GMT+09:00) Seoul (GMT+09:00) Tokyo (GMT+09:00) Yakutsk (GMT+09:30) Adelaide (GMT+09:30) Darwin (GMT+10:00) Brisbane (GMT+10:00) Canberra (GMT+10:00) Guam (GMT+10:00) Hobart (GMT+10:00) Melbourne (GMT+10:00) Port Moresby (GMT+10:00) Sydney (GMT+10:00) Vladivostok (GMT+11:00) Magadan (GMT+11:00) New Caledonia (GMT+11:00) Solomon Is. (GMT+11:00) Srednekolymsk (GMT+12:00) Auckland (GMT+12:00) Fiji (GMT+12:00) Kamchatka (GMT+12:00) Marshall Is. (GMT+12:00) Wellington (GMT+12:45) Chatham Is. (GMT+13:00) Nuku'alofa (GMT+13:00) Samoa (GMT+13:00) Tokelau Is. Starting Jul 21, Sovereignty Circle will renew each 3 months at $299.00. Cancel any time after 22 Jul 2019.